In response to Barry Wingate’s post of the 10th August 2016 on the school photo blog, I also have some editions of “The Seeker” one of which is the issue with Barry’s revised cover, the one in yellow. The magazine cover changed 3 times in the period I was at the school and I’ve shown its three incarnations in the photos. The content is a reflection of the times, some articles are written with a naivety that was to be swept away as the 60’s began to swing. Glancing through them you find references to The School Orchestra, The Library, Debating Society, Chess Club, the Brooke Bond card swap club run by EBR. The Gilbert &Sullivan operas all have a write up and then a Dancing club set by the Upper Sixth in 1963 and by Terry Stendall and Terry Alvey. Volume 3 No. 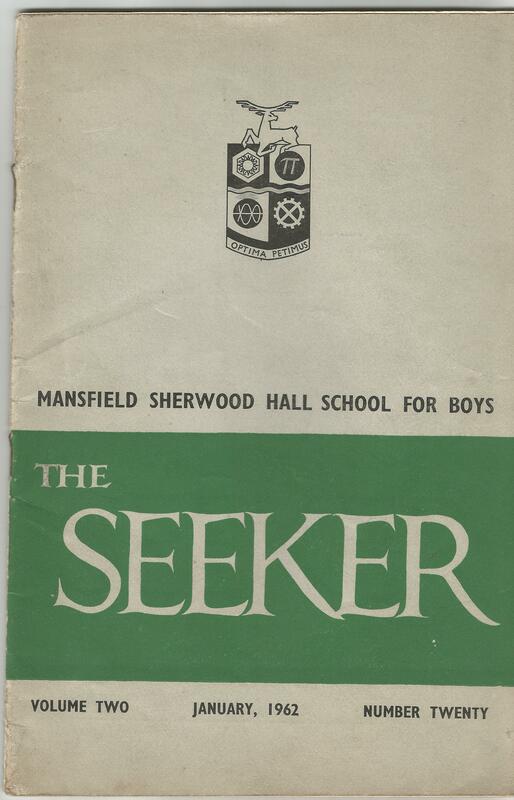 4 of December 1963 is the tenth anniversary of production with a Foreword by the Headmaster FJC Radford, Esq, B.Sc. (ECON) in which he states that all past copies of the magazine are in the school archive. Whatever happened to the archive? Was it destroyed with the building or was it passed to the local record office? 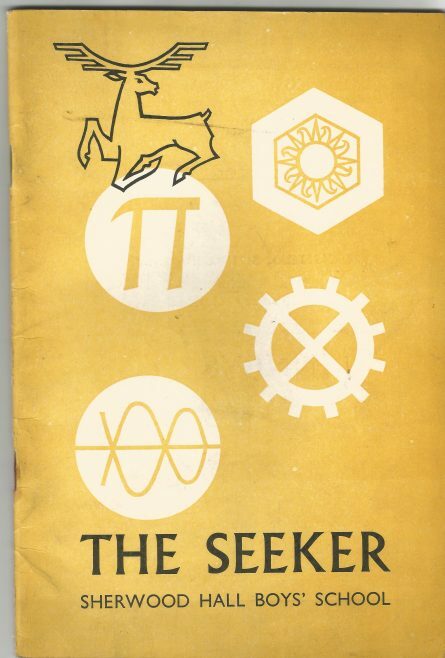 The cover Mr Cook (“Cookie”) asked me to design for The Seeker must have been academic year 1966 / 67. 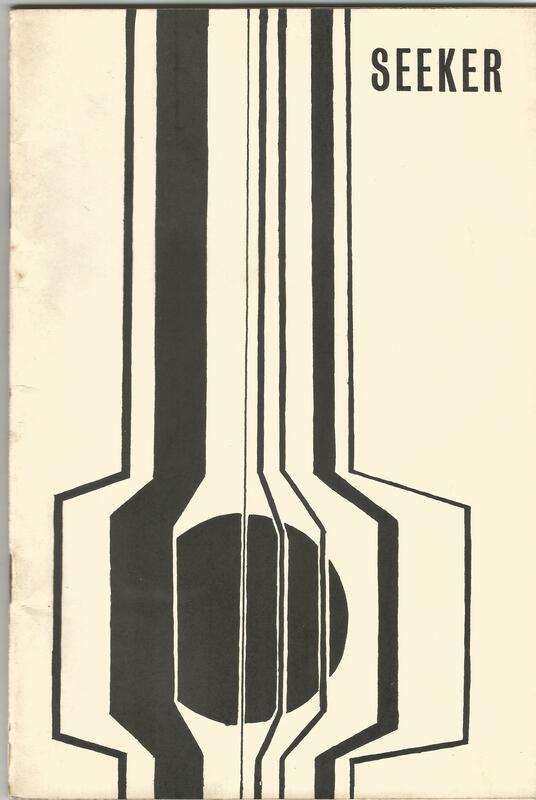 I don’t have a copy, but I remember my design involved a face with light rays coming out of the eyes. (“Seeking”, get it?) A globe of the Earth might have been incorporated somewhere.